Welcome aboard the U.S.S. Discovery! 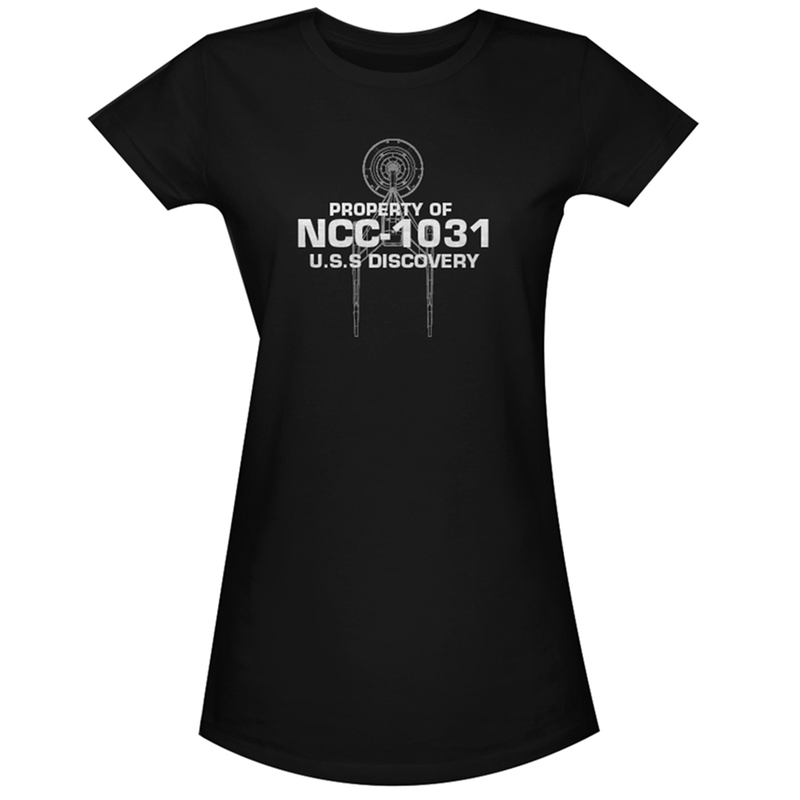 Join the crew and make it official with the Star Trek Property of the U.S.S Discovery Women's T-Shirt. 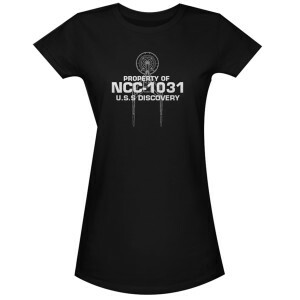 This soft 100% cotton t-shirt features the silhouette of Discovery along with “Property of U.S.S. Discovery NCC-1031”. This T-shirt in your collection is the perfect identifier of a true fan. A t-shirt of a fine quality cotton, good fit and awesome print!